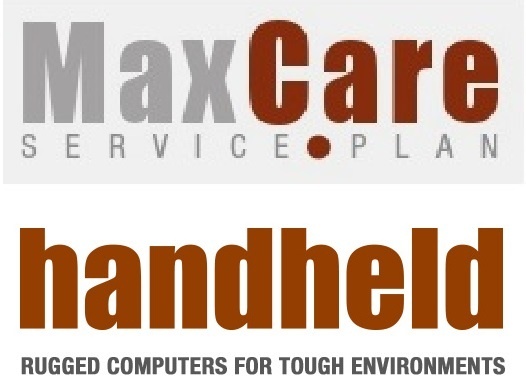 Handheld MaxCare Service Contracts - Handheld MaxCare™ is a comprehensive service and repairs plan available for newly purchased Handheld devices worldwide. Our objective is to provide customers with the best choice of a cost-effective and efficient service and repairs plan for our products. Handheld products are designed for those who work in less-than-gentle environments, and whether the challenges come from weather, extreme temperatures or tough work situations, all our devices are made to rise to the challenge. But in case something does go wrong, we’ve developed the MaxCare service concept: multiple extended coverage options that provide you with peace of mind on future service costs and lower the total cost of ownership for our devices. You won’t find built-in obsolescence here. Handheld’s rugged computers are made to last longer than consumer units — and that includes repairs and service. Our industry carries spare parts longer and offers longer warranty options for our already long-lasting products, making our offerings even more cost efficient. The Handheld MaxCare service plan is a comprehensive package of add-on service options that will help protect your technology investment and offer additional security for your business. Both MaxCare service and repairs plans are valid for a period of three or five years from the product’s purchase date to ensure extended life-cycle protection. We offer both an economical Standard plan and an All-inclusive plan. MaxCare All-inclusive is our no-questions-asked coverage plan designed for the mission-critical user. As soon as your unit arrives at a Handheld service centre, we’ll take care of any and all issues. This plan includes coverage for all repairs required as a result of accidental damage, including non-warranty repairs — all at one low, fixed cost. It also includes free return shipping and an annual service report and service meeting. Optionally, users may add the Gold Disc feature: a reload of the user supplied Gold Disk Image if requested. This plan offers our best value for the cost, covering any necessary repairs during your selected three- or five-year extended warranty period. The Handheld MaxCare™ Service Plan is a comprehensive package of add-on service selections available for newly purchased Handheld devices worldwide. The MaxCare service plans are valid for a period of three or five years from the product’s purchase date. We offer both a more economical Standard plan and an All-inclusive plan. MaxCare Standard is a straightforward service plan for the user who wishes to extend the standard warranty coverage and free outgoing shipping service for three or five years. MaxCare All-inclusive is designed for the mission-critical user. As soon as the unit arrives at a Handheld service station, we will take care of any and all issues. This service plan features free return shipping and covers all repairs required as a result of accidental damage, including non-warranty repairs. It also includes an annual service report and service meeting. Optionally, users may add the Gold Disc feature: a reload of the user supplied Gold Disk Image if requested. • The warranty period for each unit is valid from the date of shipment from Handheld. • All service plans are valid for a period of three (3) or five (5) years from the date of shipment, in conjunction with the warranty. • All service work and repairs are covered by a 90-day warranty. • Consumable parts, accessories and batteries are excluded from MaxCare plans. • A 90-day warranty applies to all accessories and batteries valid from the date of shipment from Handheld. • The extended warranty covers defects in materials and production. • MaxCare service plans do not cover problems related to third-party software. • Handheld Group is not responsible for data lost during repairs. • If a unit is returned and no fault is found, the customer will be charged a 100-euro inspection fee. • A poor or faulty customer description of unit problems may affect repair time.